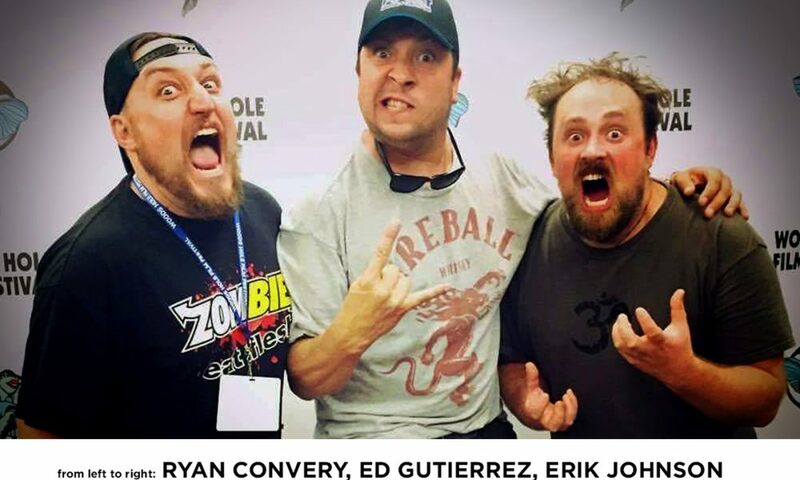 Today we’d like to introduce you to Ryan Convery. Ryan, please kick things off for us by telling us about yourself and your journey so far. During high school I fell in love with art; drawing, painting, pretty much anything that I could create with my hands. After graduating I immediately moved to Los Angeles where I went to school for special effects makeup and character design. While in LA a majority of the special effects companies were closing down due to the newest technology of computer animation, so I moved back to Boston and went to school for computer animation. This is where I fell in love with the art of filmmaking. For a college assignment I got my friends together, dressed them up as pirates and shot a re-creation of “Treasure Island”. Needless to say, it was terrible. The acting, the editing, the camera angles, were not good, but when I presented this film to my classmates they all loved it. They laughed out loud and asked me how I made it. In that moment, I knew what I wanted to do with my life. After college I continued to work with my friends on a community local access show. 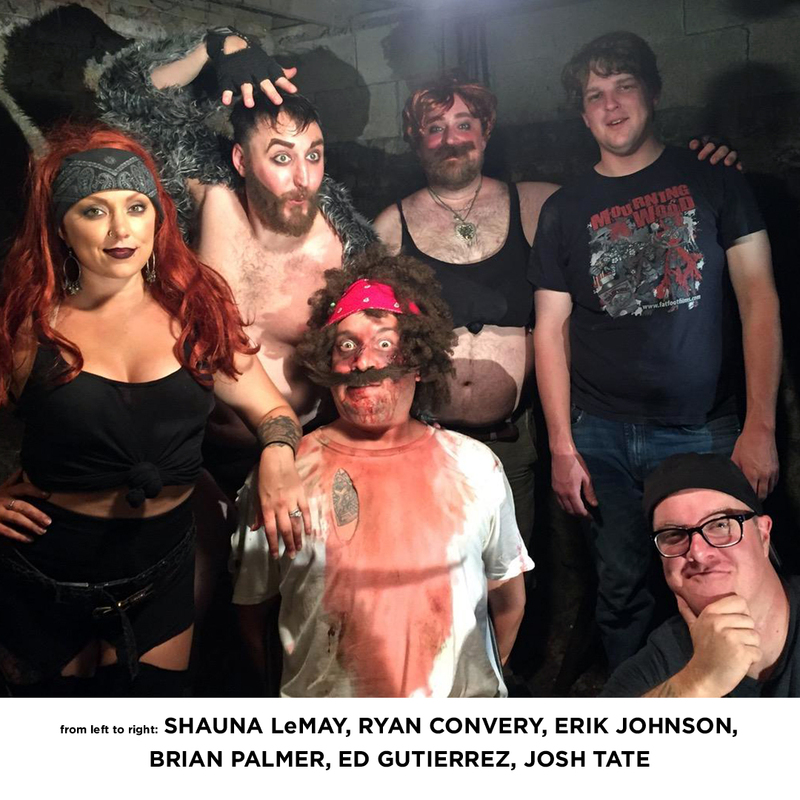 We produced several short films ranging from comedy sketches to over the top horror shorts. 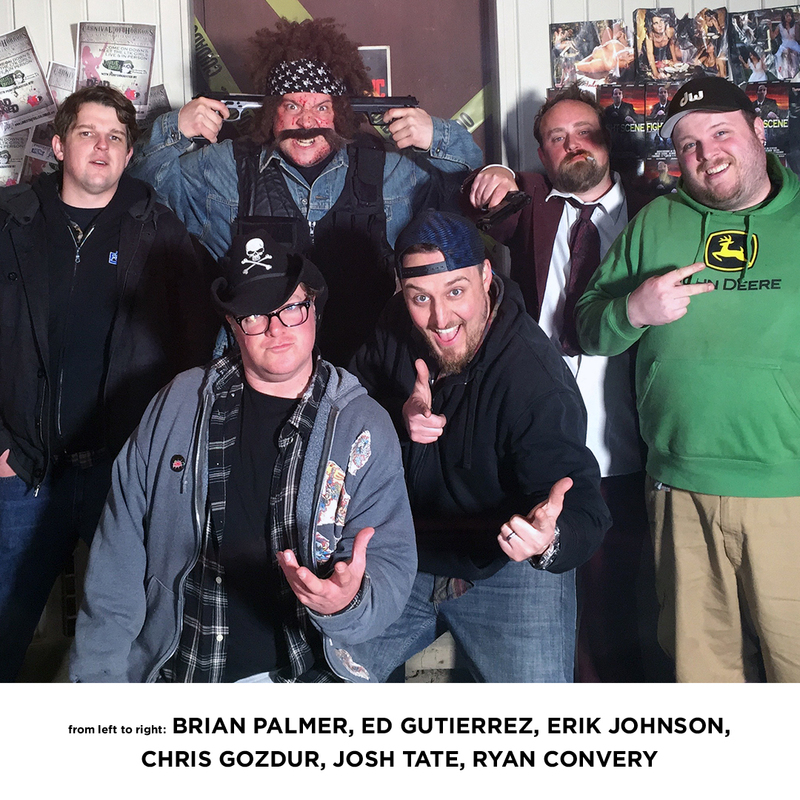 Not too long after that we started a little production company called Fat Foot Films, and then jumped head first into making our first full length feature: “Mourning Wood”. 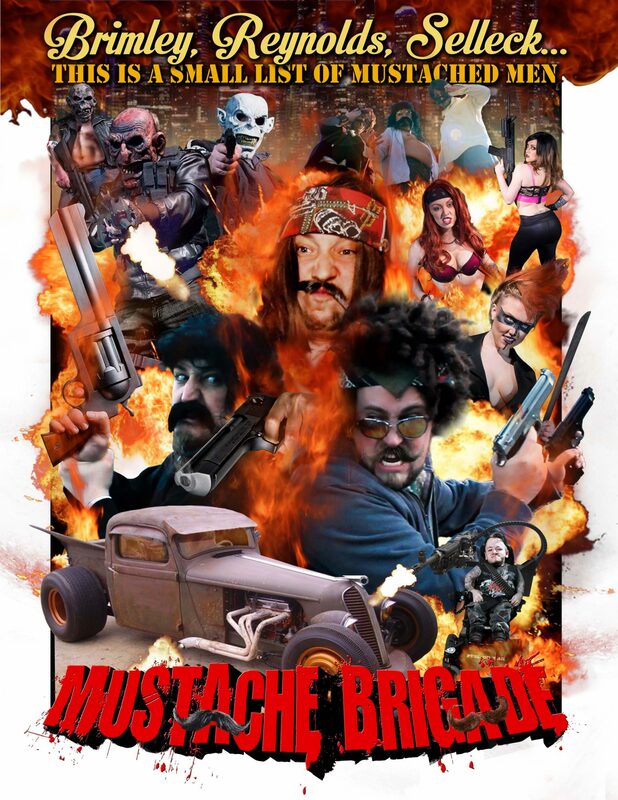 This immature, stoner, zombie comedy got picked up by a distribution company and was featured on-demand and available in Red Box. Along the way of producing “Mourning Wood” we made friends with other filmmakers. Before our first film was finished we began production on our second full length feature “Joy and the Apocalypse” which was a made for TV movie premiering on my TV New England. Apparently, the producers at the station enjoyed the movie so much they wanted to debut our film on a Saturday night and bumped out some movie starring Denzel Washington. In 2014, I finally got my first real special effects makeup job on the film “Black Mass” starring Johnny Depp. I got to work with one of top makeup effects artists in the business, Joel Harlow. It was an amazing experience. Not too long after that, I was hired by the New England Patriots as a video editor/camera op. I now create content for their weekly show “Patriot’s All Access”. In 2016 the Patriots put me on a luxury bus called the “Drive For 5” and in five days from Boston to Houston I shot and edited 30+ videos. 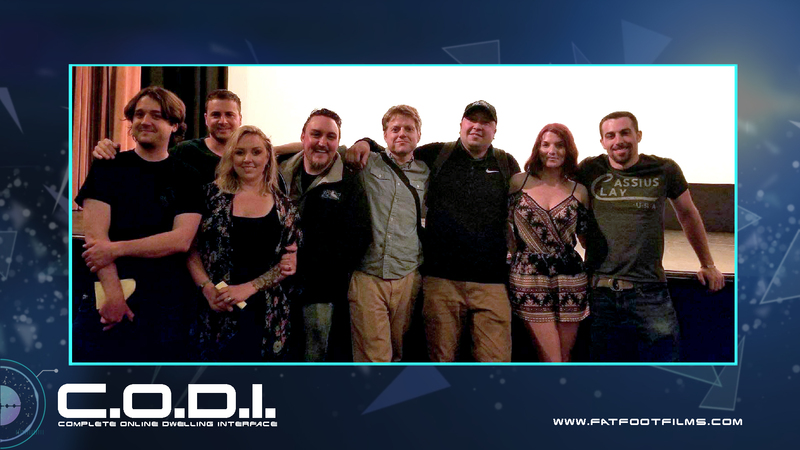 Then for the 2017 Super Bowl I was shipped out to Minneapolis to be a part of the first ever Patriots “Not Done Network”, a 24-hour network that aired live the six days leading up to the Super Bowl. 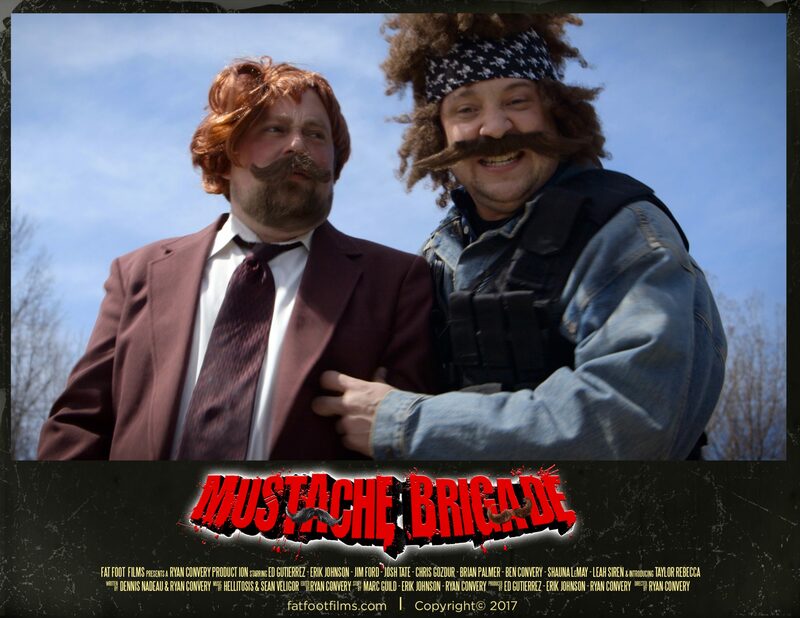 When I am not working for the Patriots I keep busy with creating short films, skits and web series for fatfootfilms.com. I’m not much of a serious person so I like to create outlandish stuff. Keeping it silly and light hearted is what I enjoy to do. When creating any film, I work backwards and say to myself, “What effects would I like to learn to do?” and then I write around that. With my background in special effects makeup I try to add any type of effect I can, zombies, head explosions, or just bruises and cuts, I’m always trying to learn and get better. One thing I’ve always enjoyed in movies is over the top violence and absurd comedy. 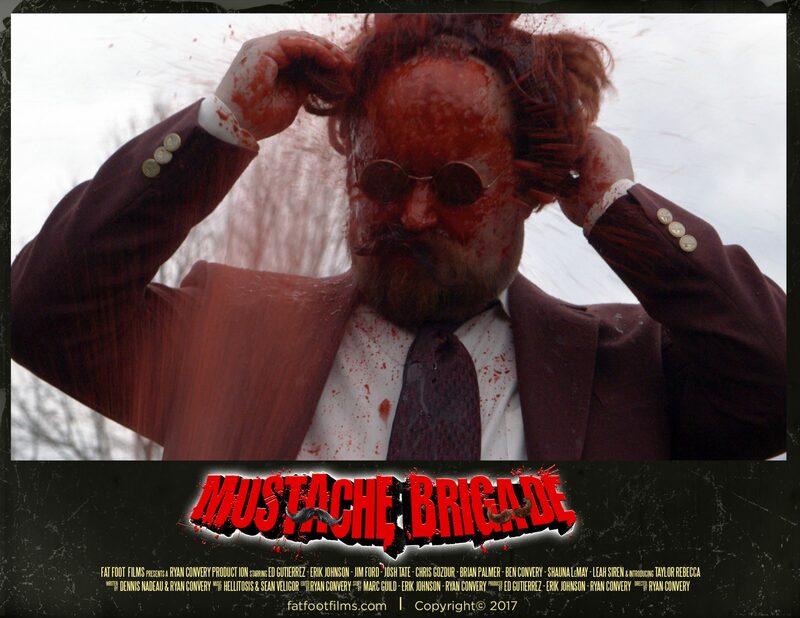 Evil Dead, Kill Bill, Dead Pool… is a small list of what inspired us to create our newest web series “Mustache Brigade.” We love to see the reactions from the audience, and I can guarantee this series will be something you’ll react to. 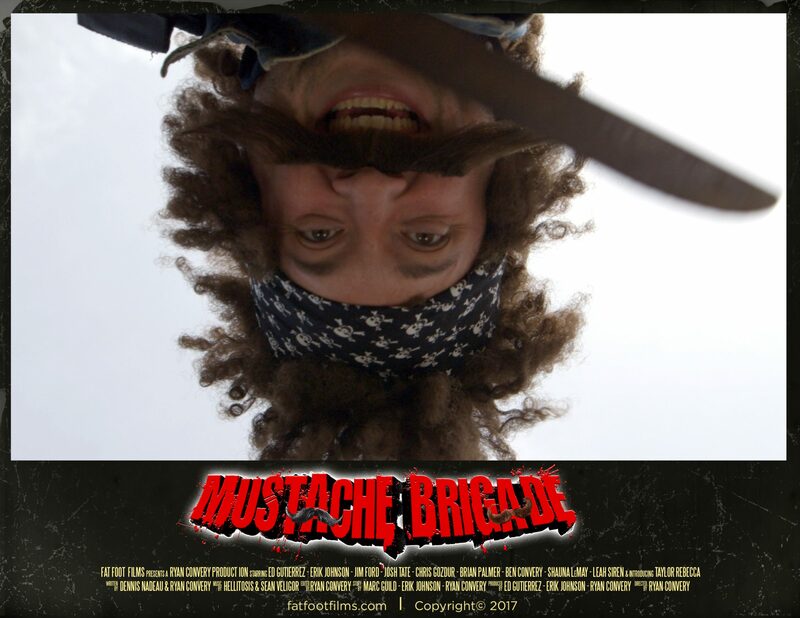 “Mustache Brigade” was originally supposed to be an exercise in filmmaking to get us stronger at effects, but it’s turned into something much bigger than that. Nowadays it’s so easy to make films. You can do it with your phone. Just go out and do it! That is how I learned. I just jumped in head first. Let me be honest here, by no means are any of my earlier productions masterpieces, but one thing I’ve learned is: what not to do. I keep shooting and I keep learning. If you want to be a good director understand what everyone does and how every little job is important to the production. Write a solid script. Have good lighting. Your audio is just as important as keeping the camera in focus. Do a few read throughs with your actors so they get it. Usually when you do this, you’ll realize that maybe the script needs some adjustments. Let the actors do some improv if you have time. Who knows it might turn into solid gold. Number one thing is: listen to the crew and actors because most likely you’ll have a low budget and can’t pay everyone. So, if everyone is happy and involved, they will want to come back and help more. I’m not saying you need to do everything these people suggest, but sometimes an outside perspective can make things better. 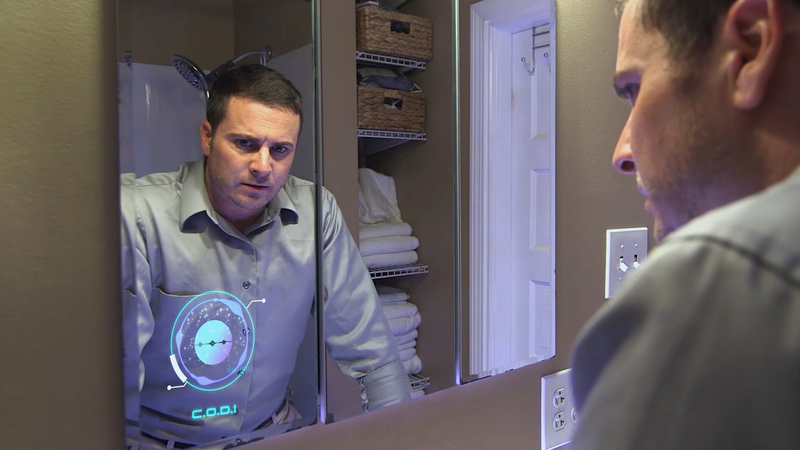 The short film C.O.D.I. was made for the 2018 Boston 48 Hour Film Project.